Iranian oil sector is attractive for many foreign companies which plan investing in Iranian oil industry in the near future. Shell and Total have already begun purchasing Iranian oil. In the meantime, Total, Shell and Wintershall are holding intense negotiations with the Iranian government about investing in the Iranian oil production. Also, Gazprom is in talks with the Iranian government on the same issue. 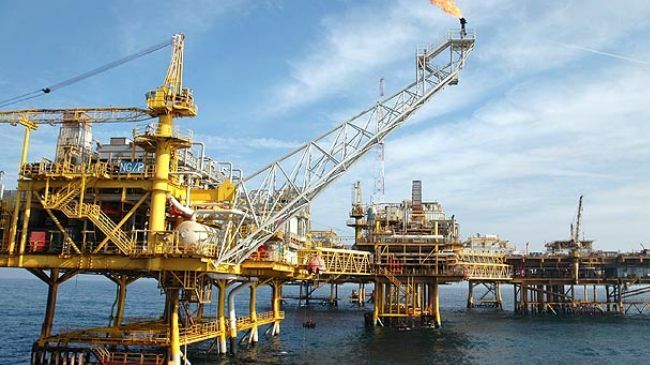 The statement was made by Behrooz Abdolvand, Managing Director of German Consulting company DESB GmbH focusing on Iranian energy market and an expert on the Caspian region to Trend news agency on June 16. Abdolvand noted that besides the mentioned companies other international oil majors are also interested in making investments in Iranian oil fields. Iran ranked fourth in the world in terms of proven oil reserves, which amounted to 21.7 billion tons at the beginning of 2016, according to BP’s latest statistics. Managing Director believes that current low oil prices will not prevent foreign oil companies from investing in Iran. Against the background of the crisis in Nigeria and the sharp decrease of oil production in Canada foreign investors will invest in the Iranian oil sector, because of the comparatively low production costs there, he noted, adding that OPEC is currently reducing overcapacities of 100,000 barrels per day and by end of 2016 it is planned to reduce overcapacities of another 60,000 barrels per day. The expert expects Iran to continue increasing its oil production in the future. “Iran has the capability to increase its production in a short period of time by 4.5 million barrels per day, and another 2 million barrels per day is also possible in case that the necessary investment is made,” he said by emphasizing that the country’s overall production capacity could be boosted by 6.5 million barrels per day. In April 2016, the country reached the pre-sanctions level of oil production, whilst in May, oil production in Iran grew by more than 89,000 barrels per day - up to 3.562 million barrels per day, according to OPEC’s monthly report. Iran will reach the pre-sanctions volume of oil production at 4 million barrels per day by July and to pre-sanctions export levels of 2.2 million barrels in one or two months or by the end of the summer, according to the country’s officials. Lifting western sanctions opened new opportunities for Iran to revitalize its long stagnated energy industry. Recently, Hungarian MOL Group also requested to import 30,000- 40,000 barrels of light crude from Iran, reported Mehr news agency on June 16. However, the country is not ready to ship light crude to Hungary at the moment. Earlier in June, BP also expressed willingness to invest in development of certain Iranian oil fields. France, Britain, Spain and Italy were traditional customers of the Iranian crude before western sanctions were imposed. Nevertheless, in the post-JCPOA period, a number of East European countries also have made proposals to purchase oil from Iran on the basis of spot or long-term contracts. Iran's crude oil sales to Europe are expected to surpass 300,000 barrels per day once the all contracts that the Islamic Republic recently signed with international companies come into force.